The rasgueado technique is without a doubt the most impressive and characteristic element of the flamenco guitar. 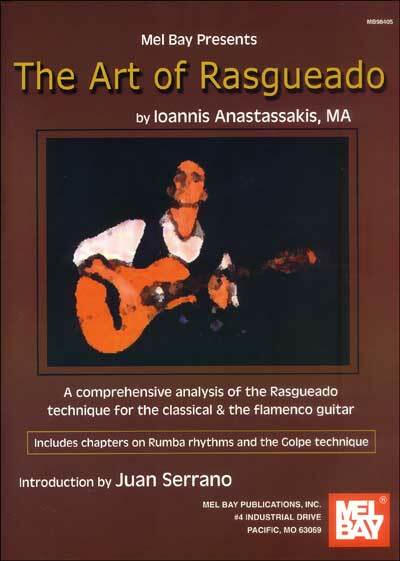 From this book, every flamenco and non-flamenco guitarist, from aficionado to professional, can learn everything about the rasgueado technique and its interpretation. Rumba rhythms and the golpe technique are also discussed. Notation and tablature. This is my 1st Flamenco Instructional book, published by Mel Bay Publications. this book has been a best-seller for 5 years straight! !